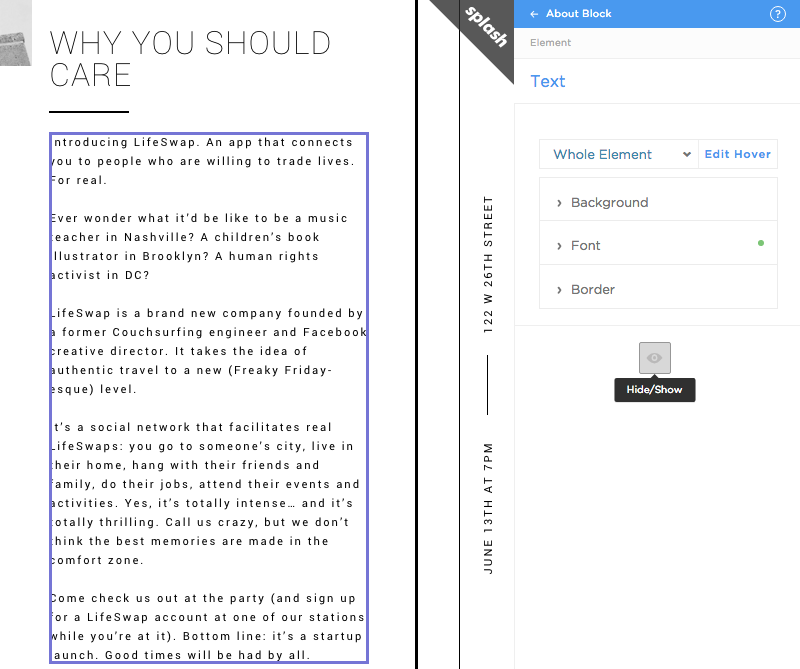 Pro tip: Hide and show the elements within the page before removing them completely. 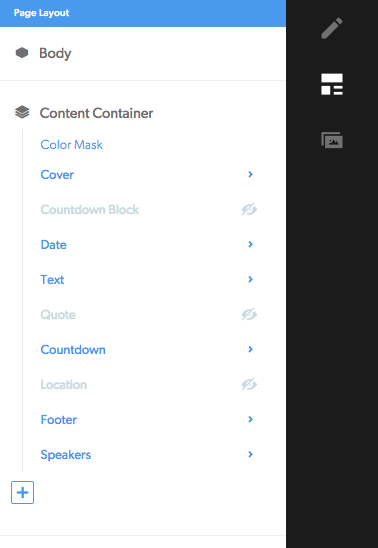 Check out how to hide and show the components of your page below. 1. Hover over it on the page or locate it within the Layout tab. 2. Click the eye icon that appears--on the page or in the Layout tab--to hide the block or element from view. 1. Open the Layout tab and head to where that block or element lives. 2. You’ll see its title in gray with a crossed-out eye “hidden” symbol. 3. Simply click on that symbol to make the element reappear. Hiding and Revealing Page Blocks from Splash on Vimeo.